You have heard it before. Perhaps you learned the phrasing in elementary school or a place of worship. I doubt many of us actually remember learning the infamous “golden rule.” But how long has it been since you really thought about how that rule applies today? 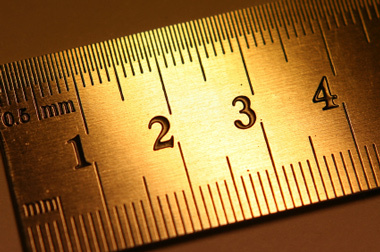 When it comes to communicating with social media tools, the golden rule is key. Think about it: If you have a blog, you may hope that people will comment on your posts, link to your blog or include you on a blogroll. But if you aren’t doing that for other blogs, why should you expect a favor in return? I forget this sometimes. I read blogs of friends and colleagues and don’t always comment. I don’t always retweet links that are interesting. But if I want to build my online presence, that’s exactly what I should be doing. The same applies to any organization or business. Your challenge? Take initiative. Add cool blogs you find to your blogroll and post links on Twitter and Facebook. Rate local businesses on Yelp. Not just so they will do the same for you, but because you actually think they offer valuable content. Think WWRL – What Would Your Readers Like? Do unto others as you would have them do unto you. It’s a community, after all – not a one-way street. Feel free to leave any questions about linking, blogrolls etc. here! GREAT GREAT advice to live by. Thank you for reminding us of that. It’s not something I always do but need to keep top of mind. It’s all about engagement after all. Great post. I am guilty of this…mostly because of time but I will try to post more comments b/c of this. KMHealth, I’m glad to hear it! I’m guilty too…this is a slap on the hand to myself as well. I love this post! The longer I’ve been a part of the blog world, the more I’ve become comfortable commenting on blogs. It’s fun to interact with other bloggers and I love letting people know that they’ve inspired me in some way. Also, I will totally admit that I love receiving comments on my blogs. Thanks for sharing this! I do hope more people will act on your message! Jen, thanks for your comment. I think it’s fun to interact with other bloggers too, and am trying make it part of a daily habit. It takes time, but is valuable. I read your blog(s!) and don’t comment enough, but I love them both! 100% agree! Glad to see you’ve joined the wordpress and blogging community! Lia, what wonderful advice! I try to comment whenever I read a blog…but I’m terrible about posting during the busy school weeks. I find that I’ll do lots of posts when I’m not busy and absolutely none when I am! You are so right about this, Lia! It’s always nice to know that people are reading after you put the work into crafting a post. Great reminder to not be passive readers, but to truly engage.